This may seem like fun and games (and, let’s face it, trying to write a haiku about going #2 is pretty fun), but there’s a more serious purpose behind it. The Poo Haiku contest is sponsored by Defeat DD, an organization sponsored by PATH, a Seattle-based non-profit organization focused on global health. Michael Stevenson’s recent article on PATH in Third World Quarterly looks at how the organization has sought to bring together public and private actors to work together to develop useful health technologies in low and middle income countries. Defeat DD’s mission is to bring greater public attention to diarrheal diseases and encourage more work on developing treatments for diarrheal diseases. Why does this matter? Because diarrheal diseases kill and harm lots of people, especially children. The World Health Organization lays down the facts. More than 750,000 children under the age of five die from diarrhea every year, making it the second leading cause of death for that age group. It is also a significant contributor to malnutrition among kids. Diarrheal diseases are incredibly common (about 1.7 billion cases occur every year) and generally both preventable (through clean water and proper sanitation) and treatable (with oral rehydration therapies), but they receive little attention or funding from policymakers and the public as a whole. That’s where the Poo Haiku comes in. As Hope Randall, PATH’s digital communications officer, told NPR’s Goats and Soda blog, “attention translates into more resources.” The more that people are willing to talk about the issue, the more likely they are to raise questions about the available treatments or press their governments to do more to fight it. Six different pathogens are responsible for more than 80 percent of child deaths from diarrheal diseases, but there is only a vaccine for one of the six so far. The Poo Haikus are a light-hearted way to get people talking about diarrheal diseases. Sarina Prabasi, the chief executive of WaterAid America, has written about how we need to get past the “poo taboo” so that we can bring attention to the sanitation crisis worldwide. Defeat DD’s poetry contest to bring attention to health issues is part of a tradition within global health—getting the public involved to raise awareness and increase funding. As Jeremy Shiffman and others have noted, the prominence of a particular issue on the global health agenda does not depend on the level of illness or death that it causes. Issues need to find a way to break through to the public and policymakers. In the global health space, this has frequently meant trying to appeal or engage the public directly. You might be familiar with (RED). Created in 2006 by Bono and Bobby Shriver, (RED) set out to engage the public about HIV/AIDS in Africa and to easily raise funds from consumers. It partnered with consumer brands like Apple, Converse, and American Express to make special versions of their existing products. When someone bought that product, the company then gave a certain amount of the purchase price to (RED), which in turn gave the money to the Global Fund to Fight AIDS, Tuberculosis, and Malaria to purchase antiretroviral drugs in Africa. That means that my (RED) iPod nano 2nd Gen (which I still use because I’m hip like that) generated $10 to purchase antiretrovirals without me spending any additional money. Since (RED) began, it has generated more than $350 million for the Global Fund and encouraged more involvement by the private sector in supporting Global Fund programs. A second recent example of this sort of public engagement is represented by the Clearly Vision Prize. Clearly is a charity headquartered in the United Kingdom that focuses on improving treatment for the 2.5 billion people around the world who have vision problems but lack access to treatment. The Clearly Vision Prize aimed to encourage innovative thinking and spur development of new tools that could be used to expand treatment options. Any individual or group over the age of 18 could submit an entry. Most importantly, $250,000 in prize money was available to the top entries—including $100,000 for the grand prize. Vula Mobile, based in Cape Town, won the 2016 grand prize for its mobile phone app that detects eye problems and connects specialist eye health care to rural, remote, and underserved areas. As opposed to (RED) and its emphasis on fundraising, Clearly aimed to raise awareness of vision health by providing a financial incentive for developing new diagnostic tools and treatments. These sorts of efforts have attracted their share of criticism: that they encourage ‘slacktivism,’ that they overhype their results, that they reinforce the underlying problem by working within capitalist structures, and that they are largely feel-good campaigns for companies. Lisa Ann Richey and Stefano Ponte’s 2011 book Brand Aid: Shopping Well to Save the World spells out many of these criticisms in a comprehensive way. Such public-oriented efforts to generate attention for global health problems in and of themselves won’t end diarrheal diseases, HIV/AIDS, or vision loss—but if that’s the standard for assessing these efforts, no intervention will succeed. I’ve written elsewhere about the value of these sorts of programs. They are pragmatic responses to difficult situations and can be one (but not the only) element of larger strategy of strategic engagement with the public on global health issues. 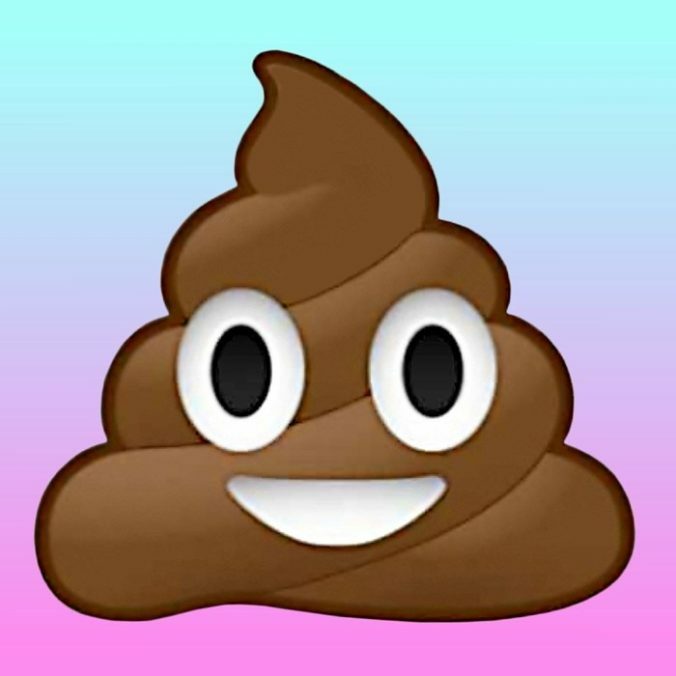 Poo Haikus may not save the world, but they could bring the sort of public attention necessary to move diarrheal diseases up higher on the global health agenda.